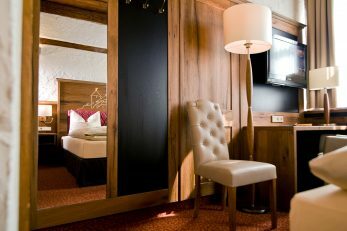 Recharge for each new day. 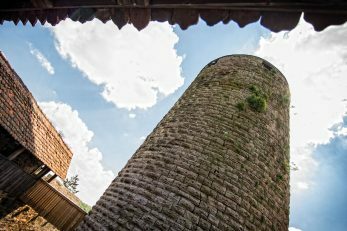 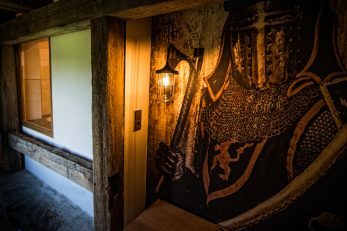 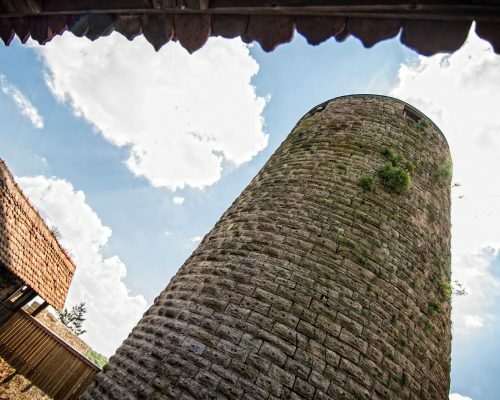 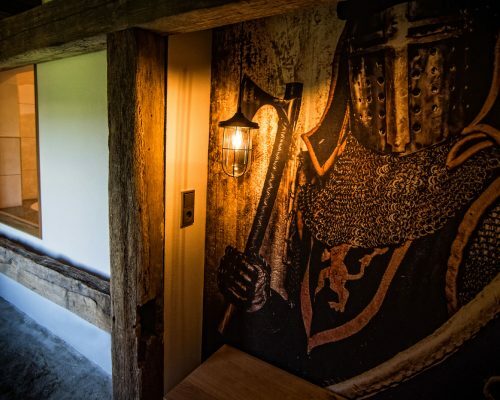 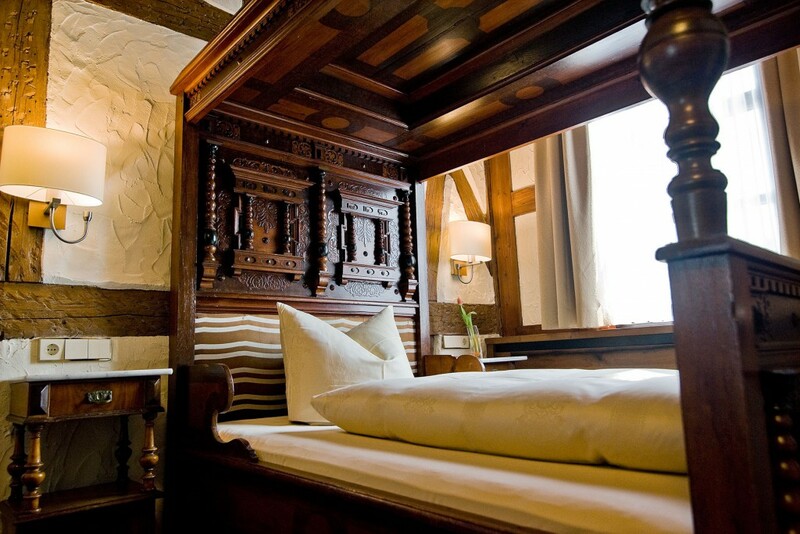 Experience a trip in time back to the Middle Ages. 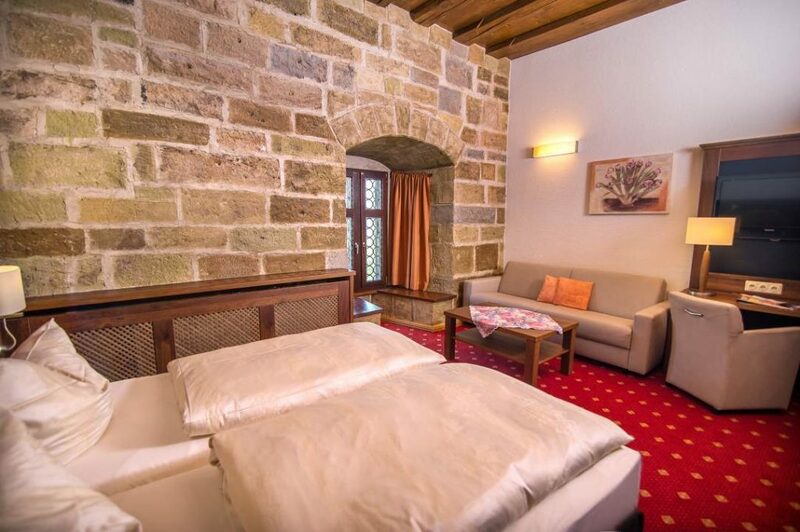 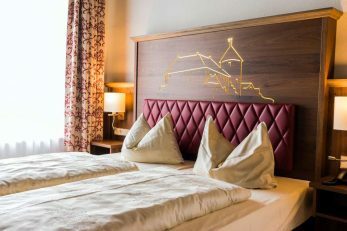 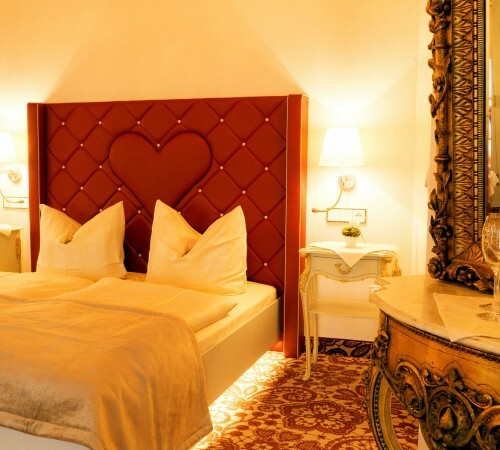 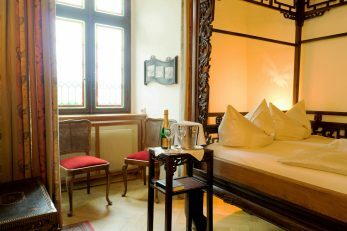 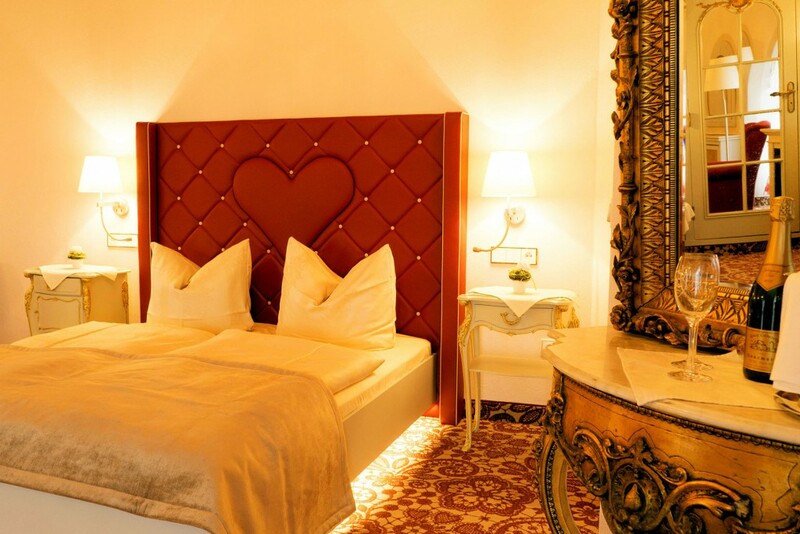 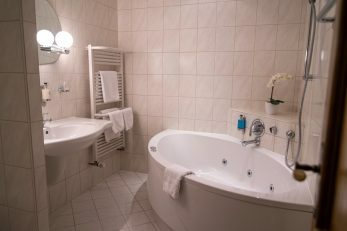 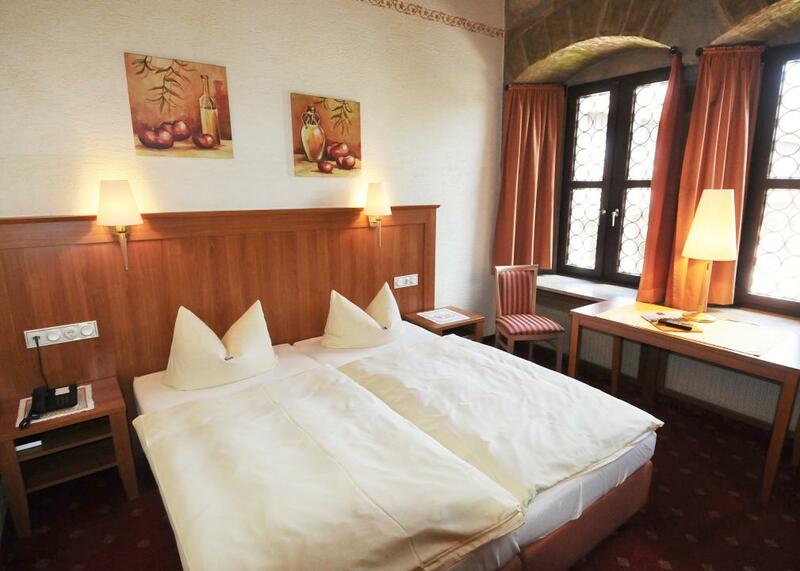 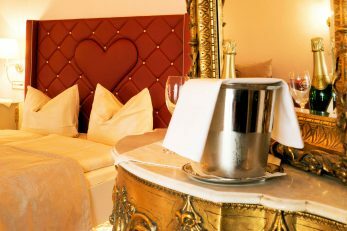 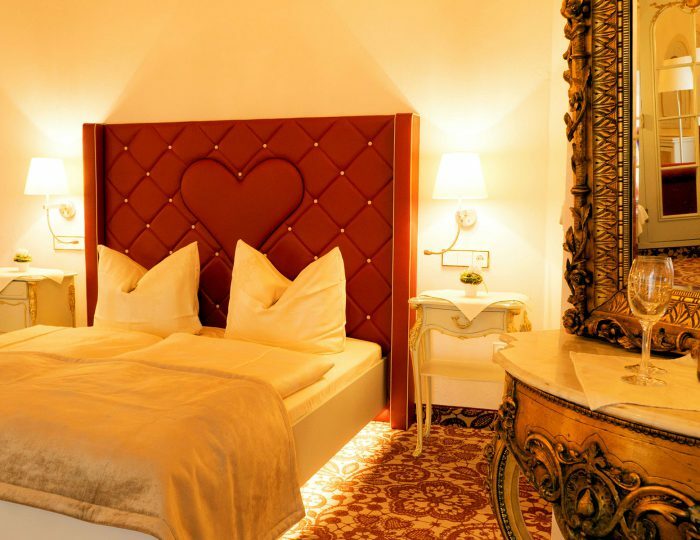 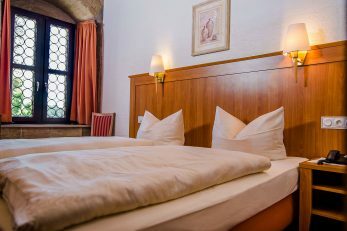 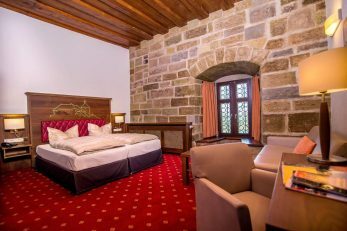 Stay and enjoy in the romantic ambiance of an old Hohenzollern castle: Colmberg Castle is your temporary “home from home”. 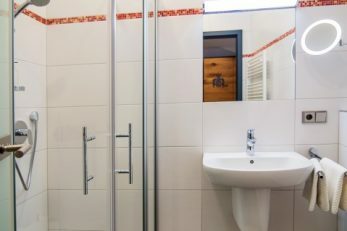 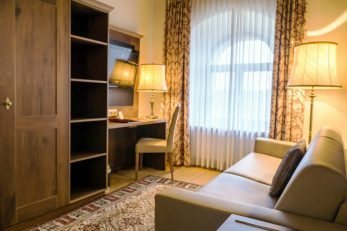 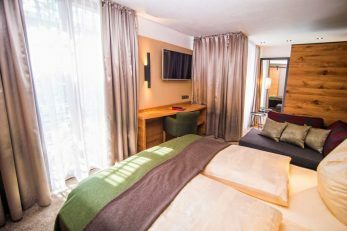 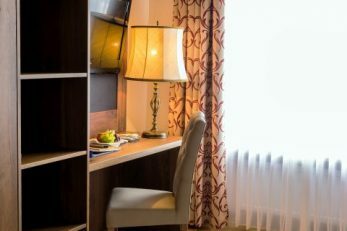 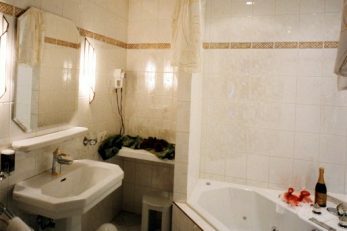 You can very simply book the desired number of nights and length of stay in your favourite room online, at any time of day or night. 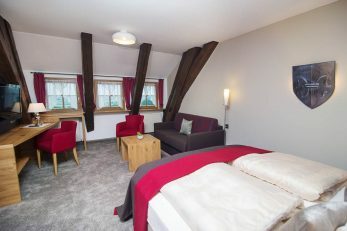 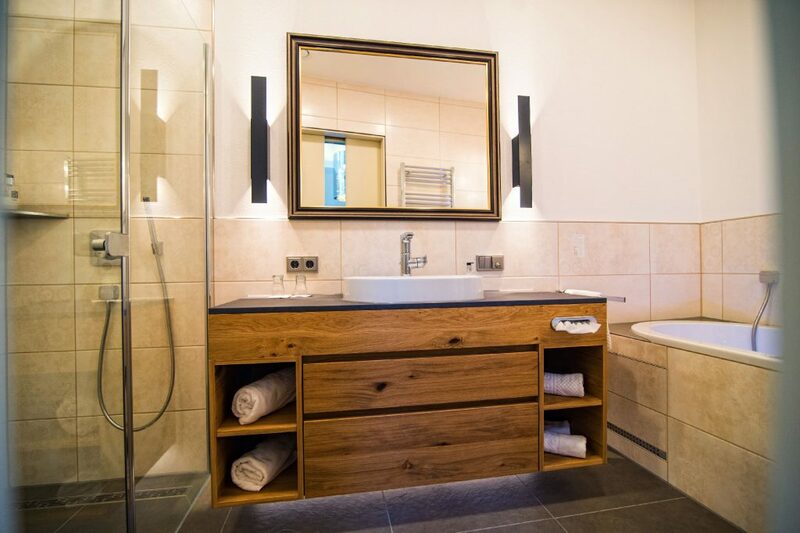 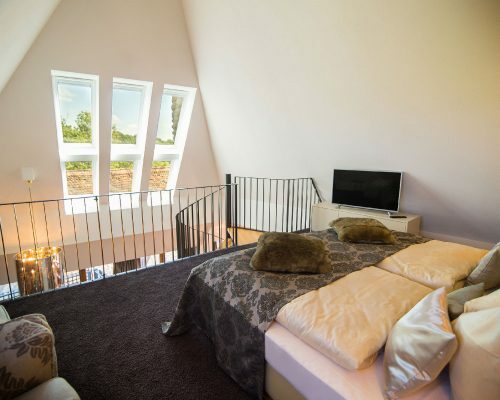 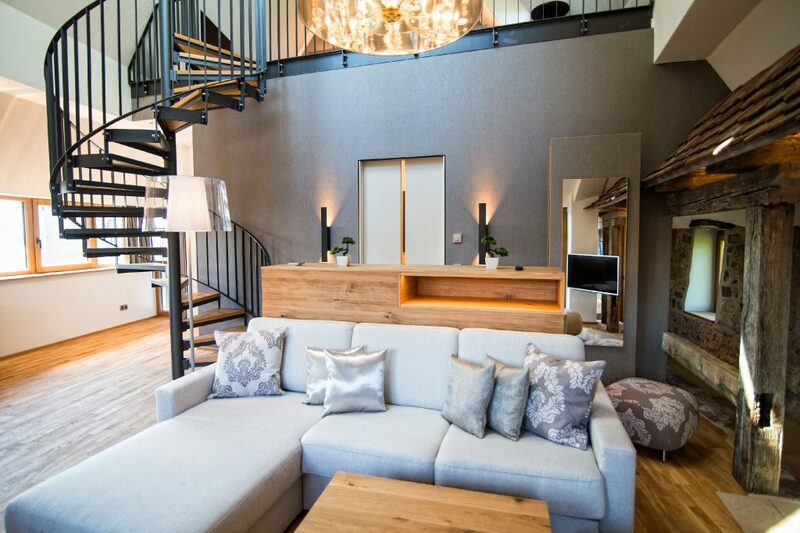 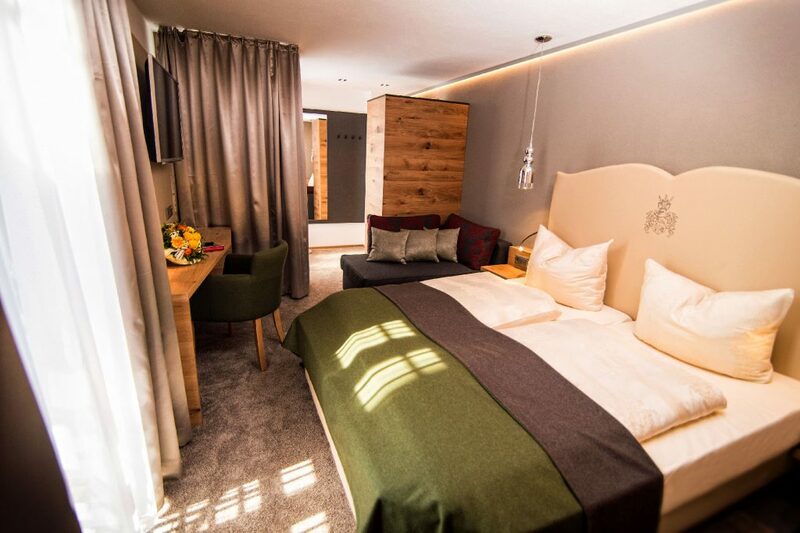 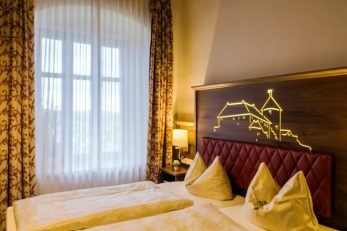 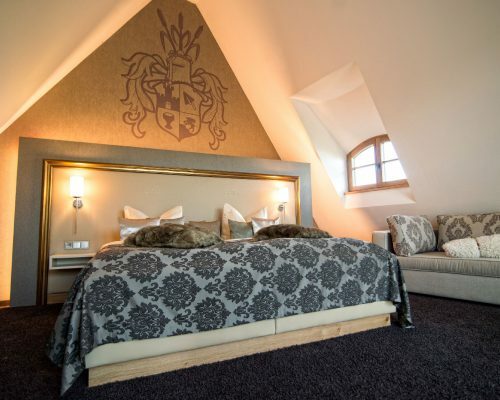 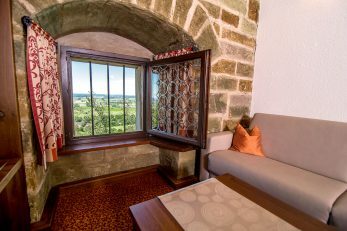 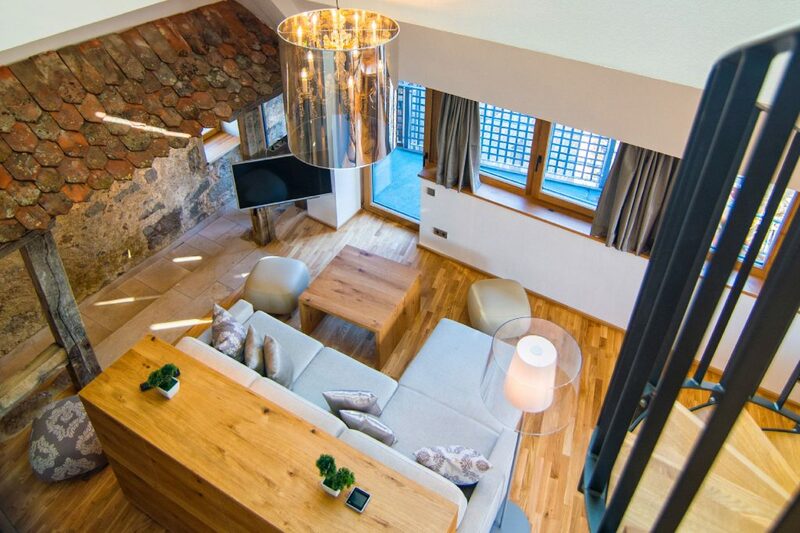 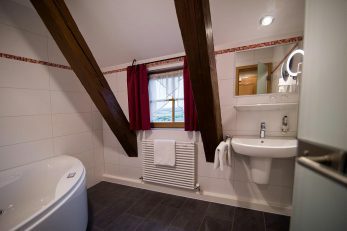 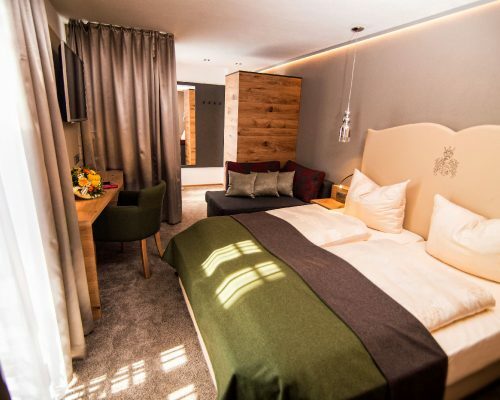 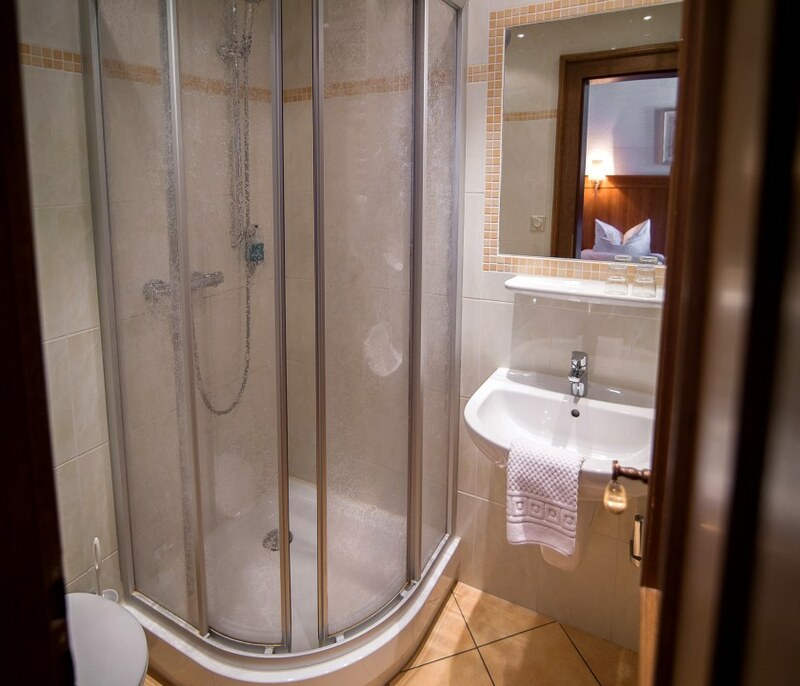 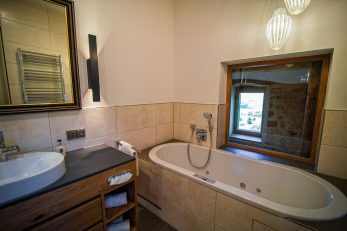 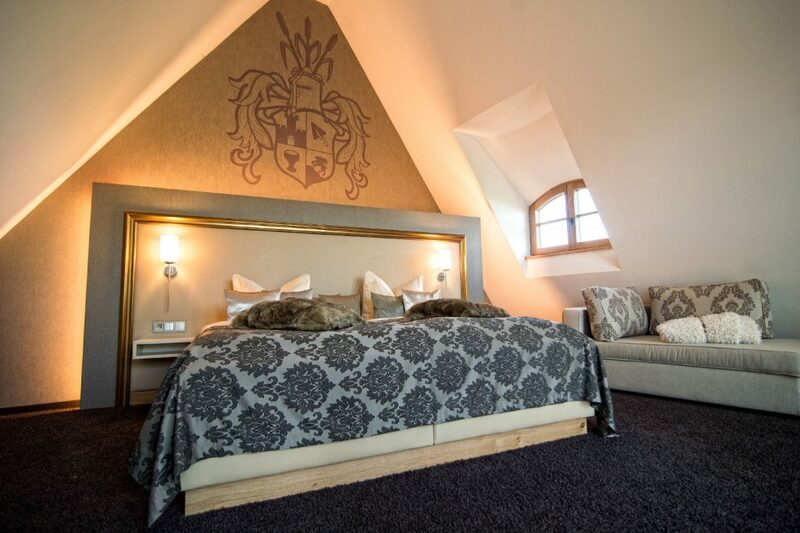 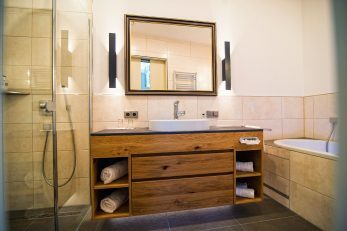 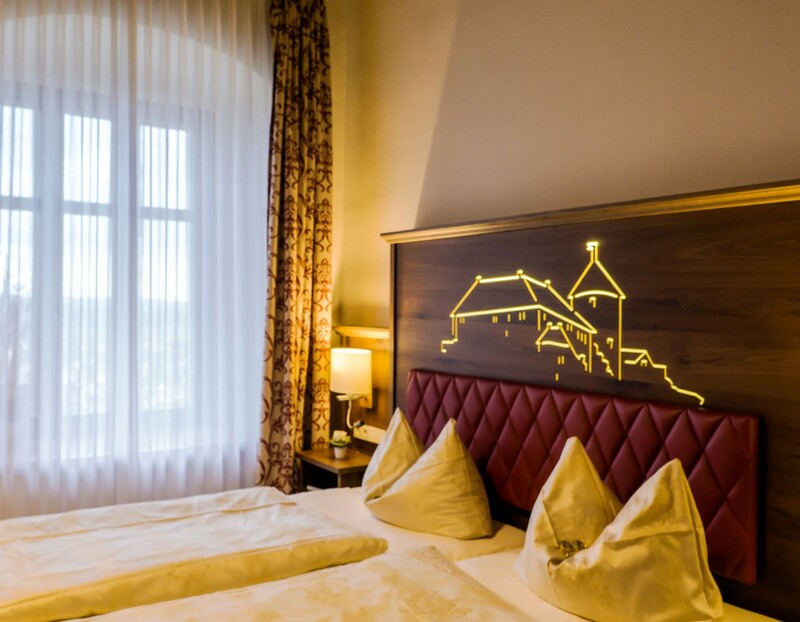 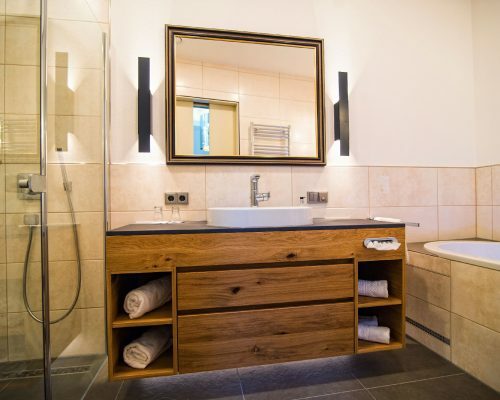 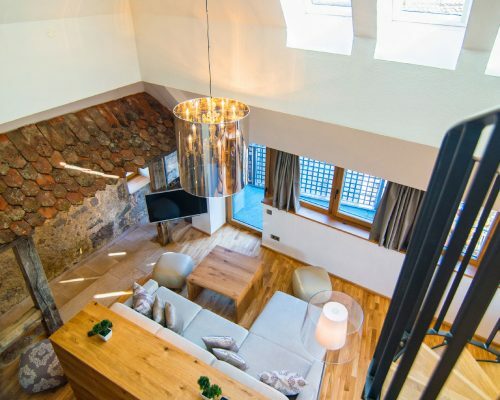 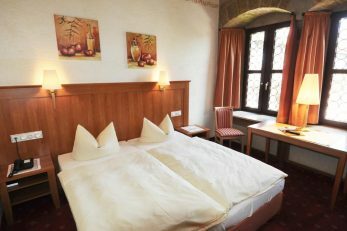 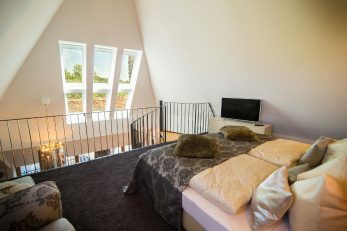 The luxurious Tower Guard Suite at Colmberg Castle offers comfort in plenty and is an exclusive retreat with a wonderful panoramic view across the Franconian landscape. 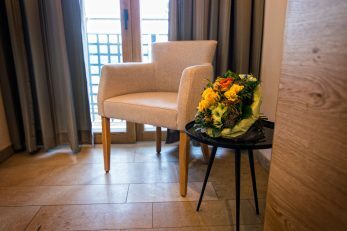 Here you can leave stress and everyday worries behind you, come to rest, breathe freely and enjoy your time together to the full. Situated in the midst of delightful nature, the suite enchants with an incomparable feel-good atmosphere. 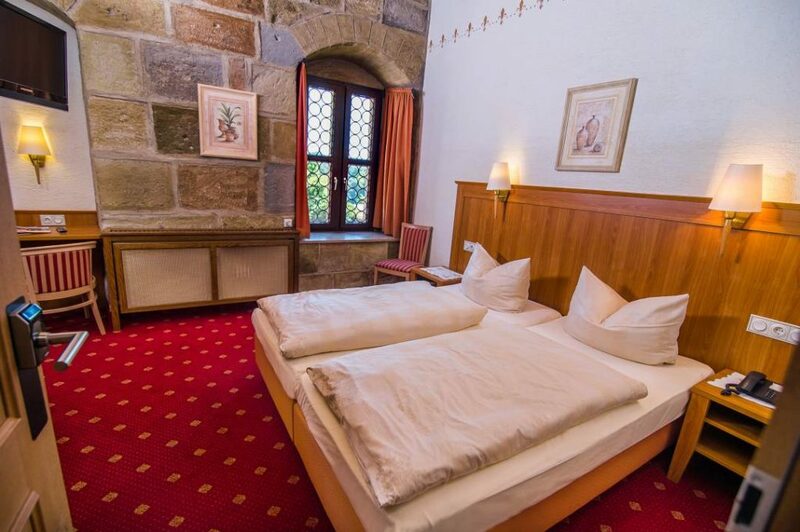 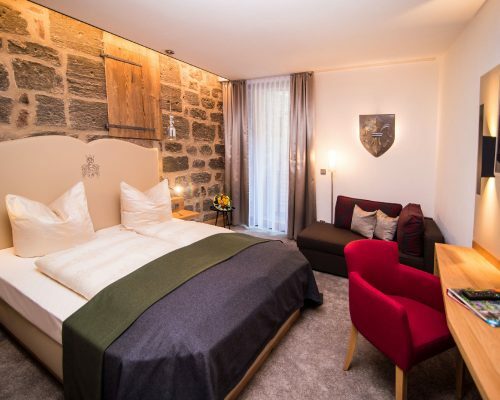 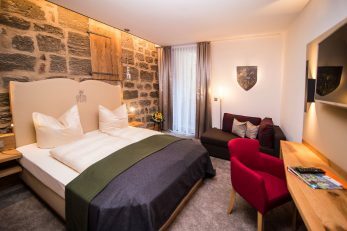 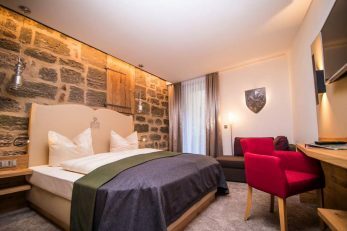 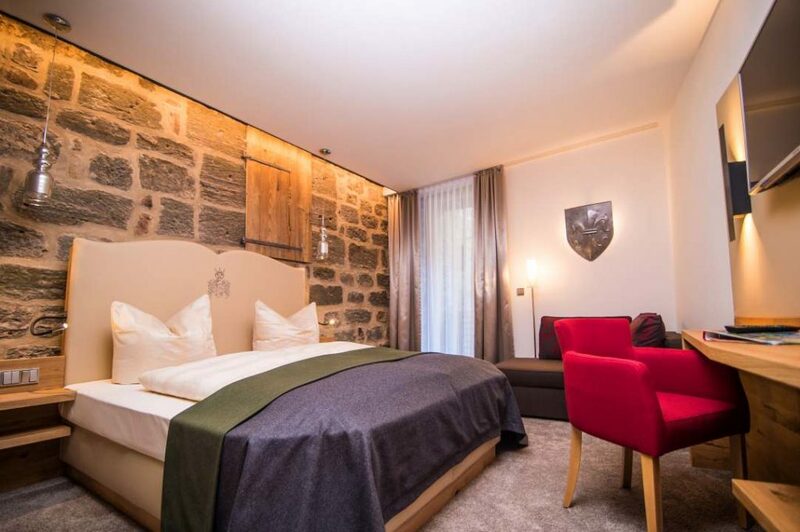 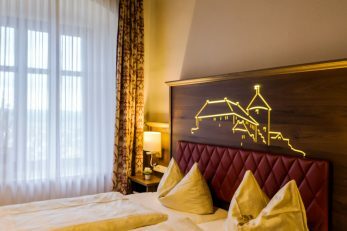 A bit like being in a fairy-tale – our rooms take you on a trip into the Middle Ages with the romantic atmosphere of a venerable Hohenzollern castle. 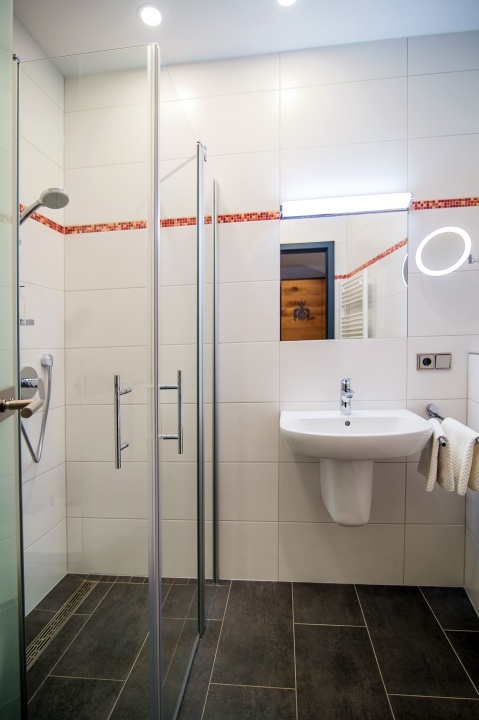 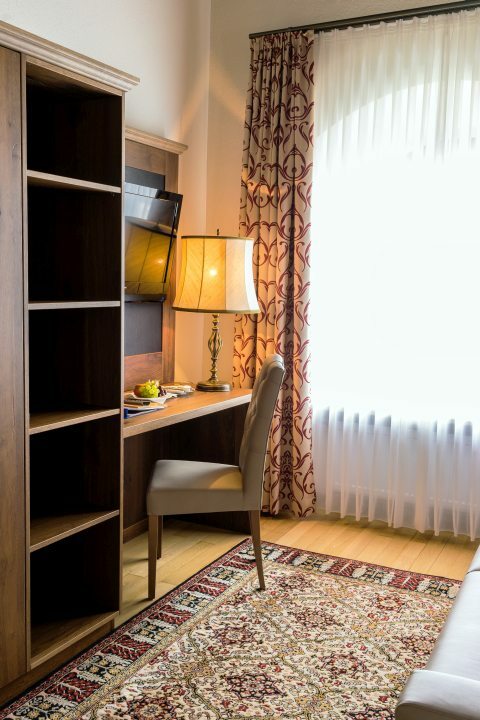 All our rooms offer state-of-the-art comforts and an elegant, stylish design. 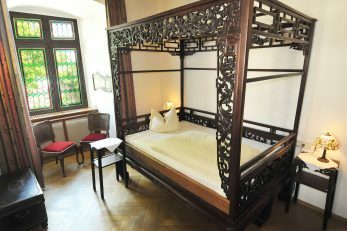 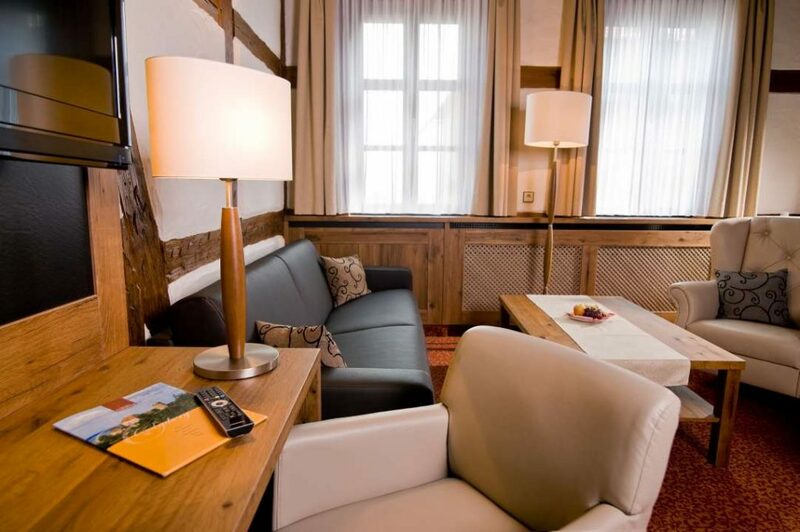 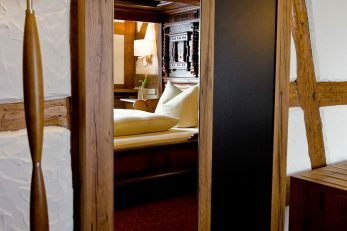 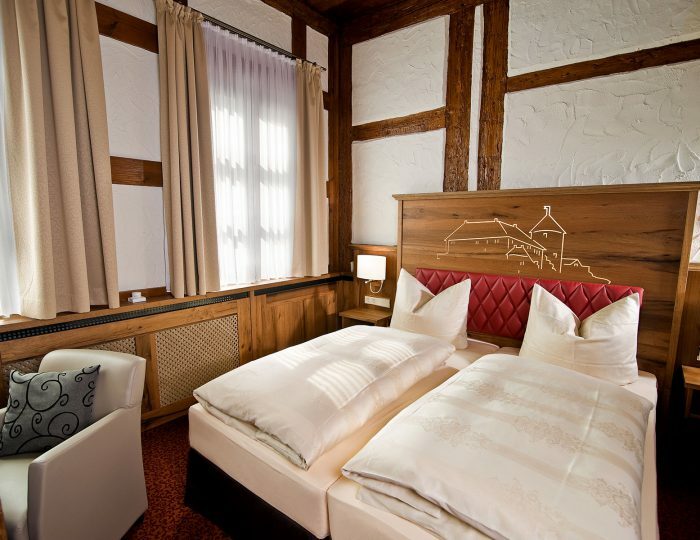 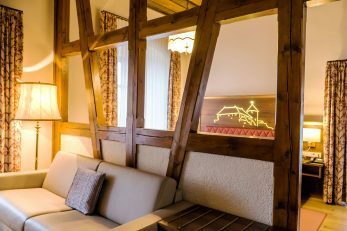 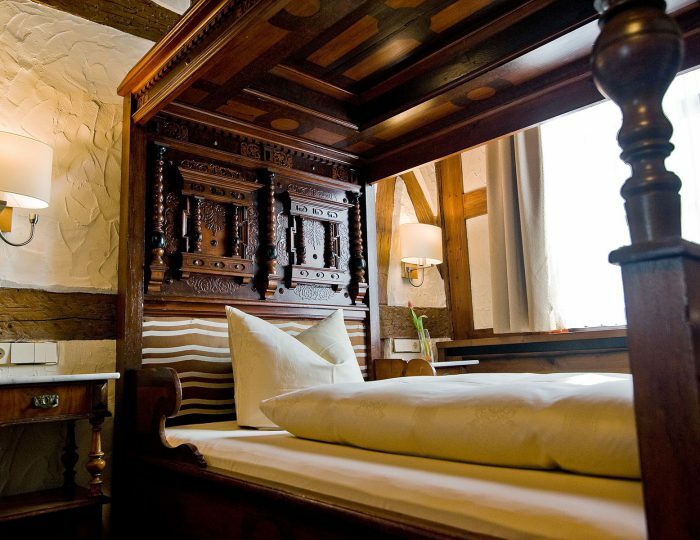 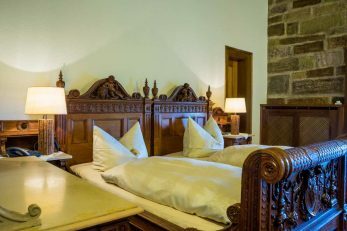 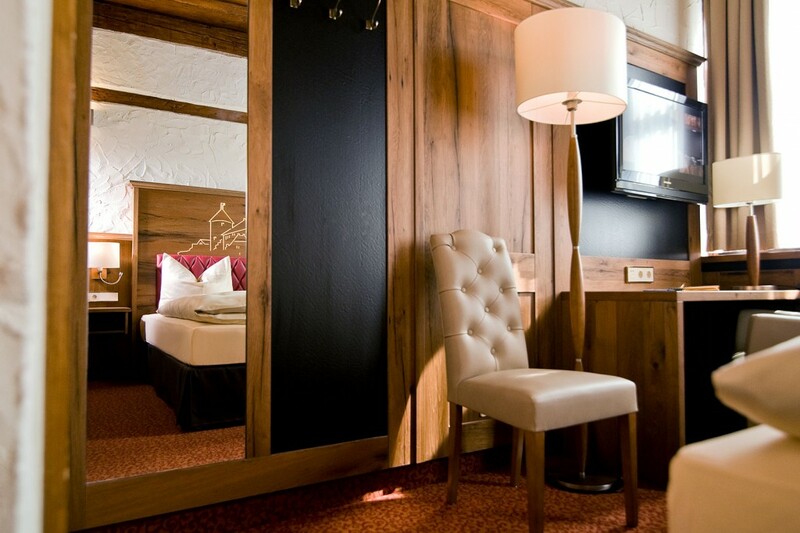 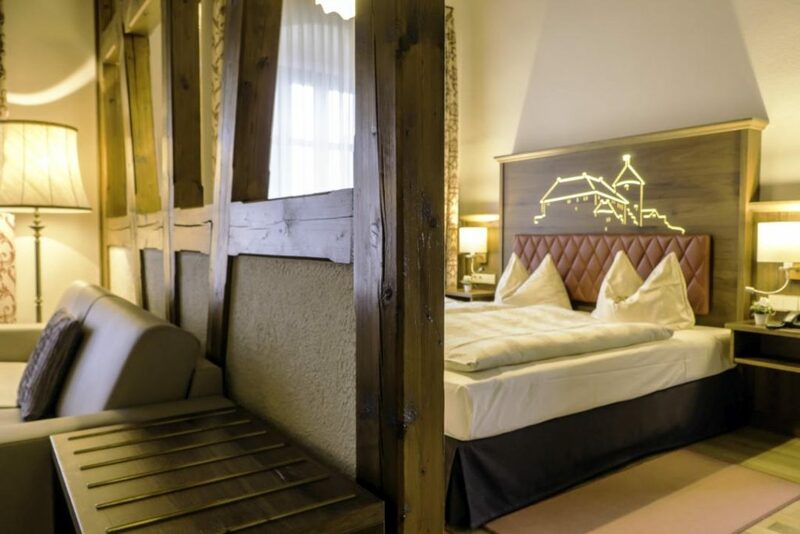 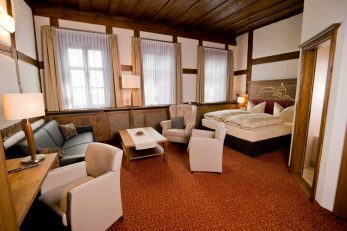 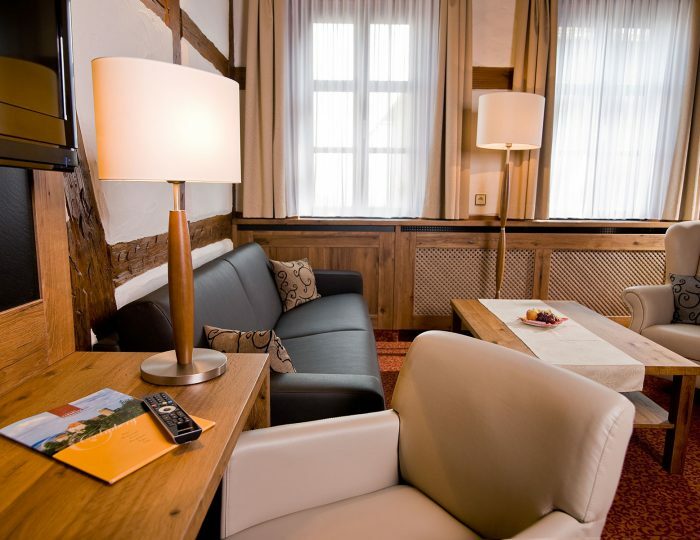 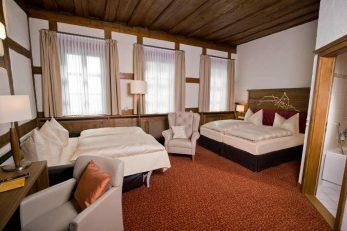 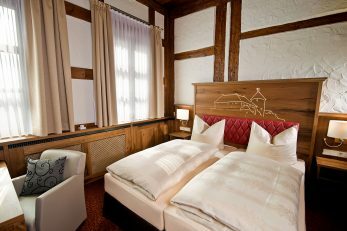 Our historic rooms are equipped with hand-carved historic beds or Franconian four-poster beds. 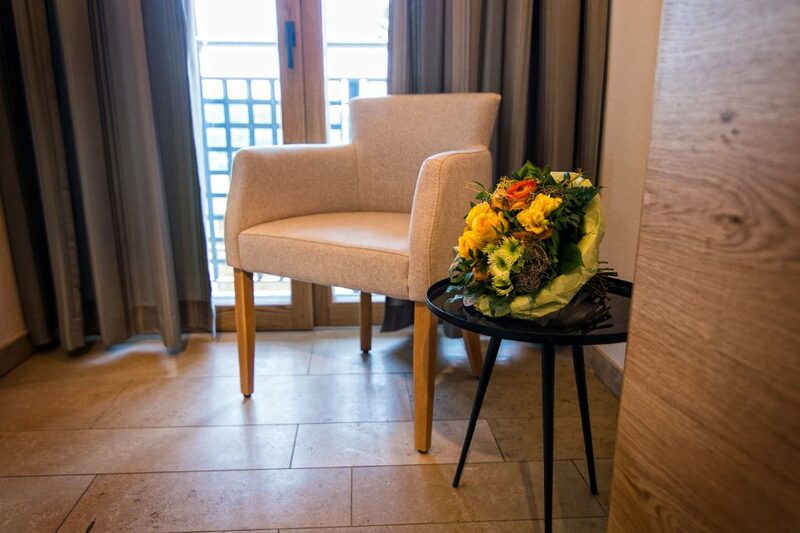 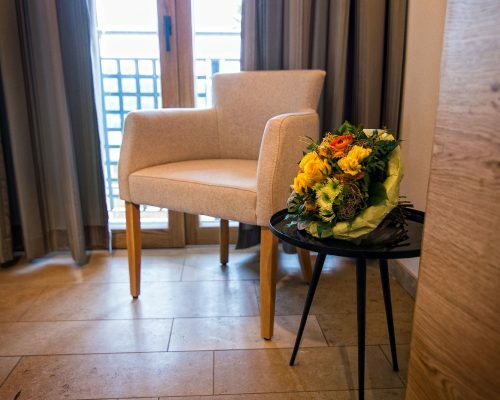 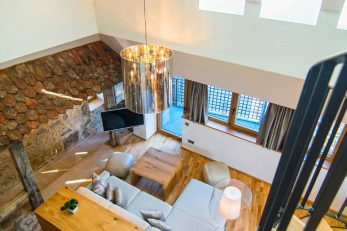 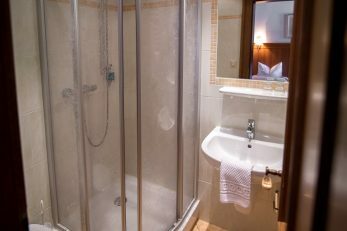 All rooms are furnished with exclusive materials, fabrics and furniture and invite you to dream, enjoy and relax. 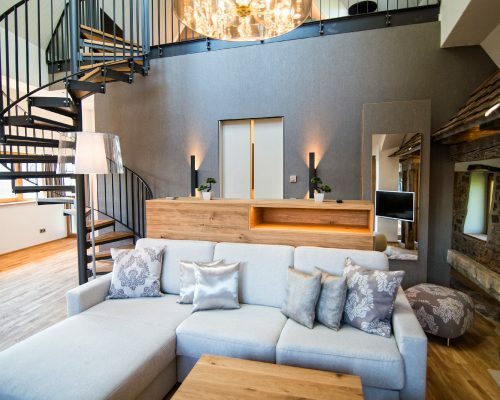 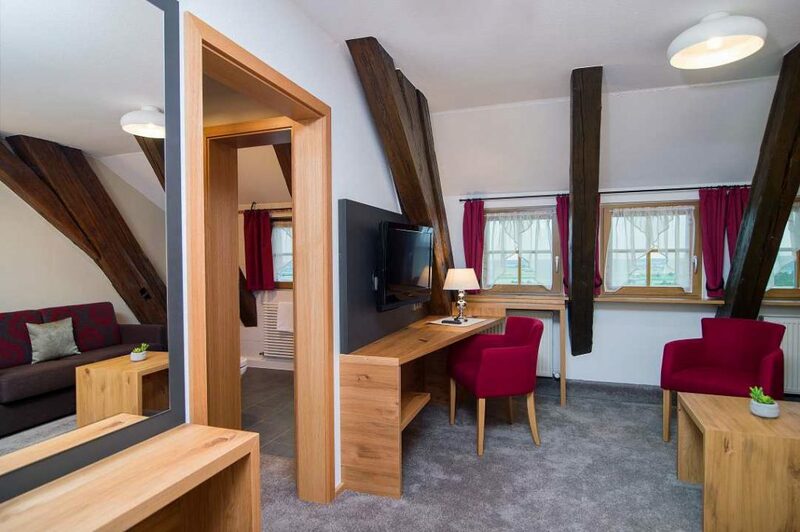 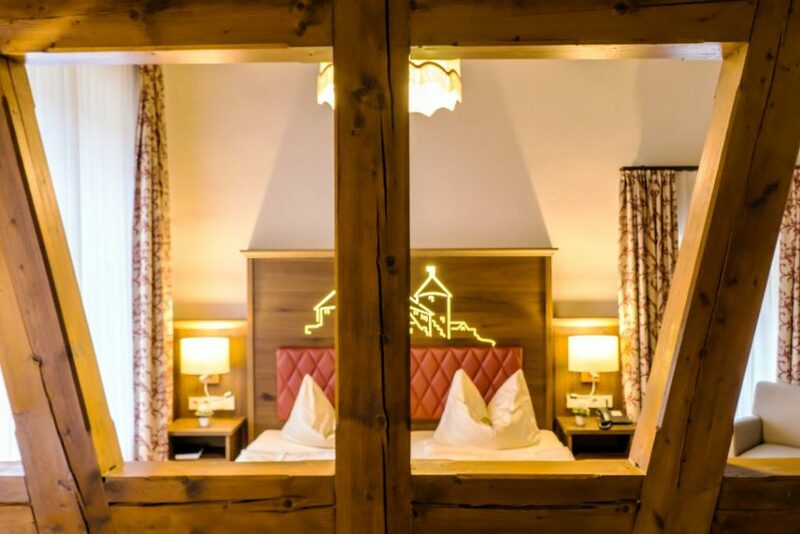 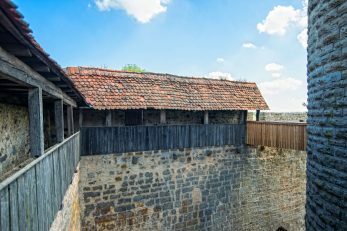 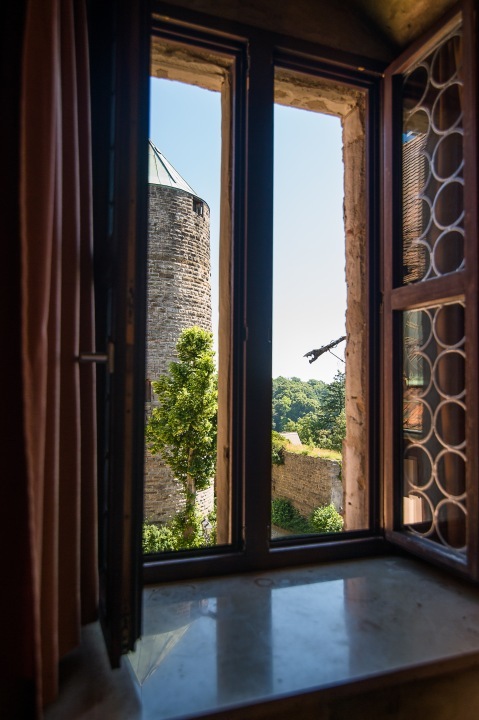 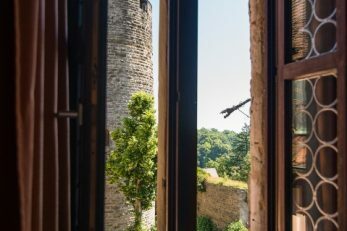 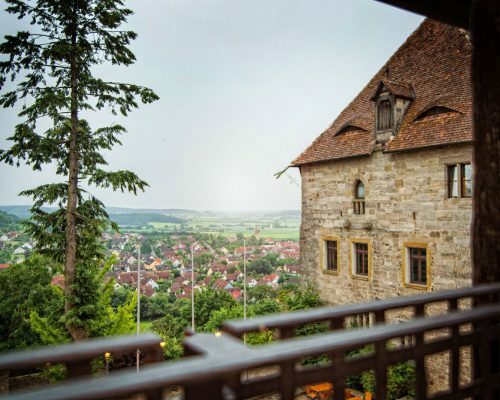 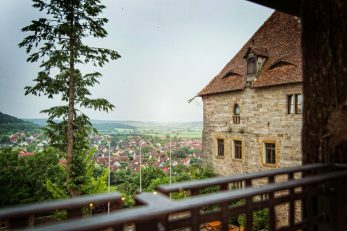 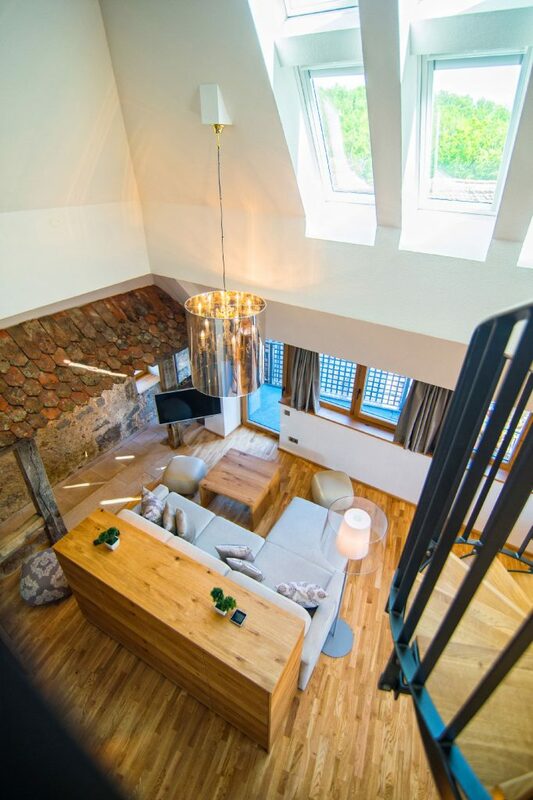 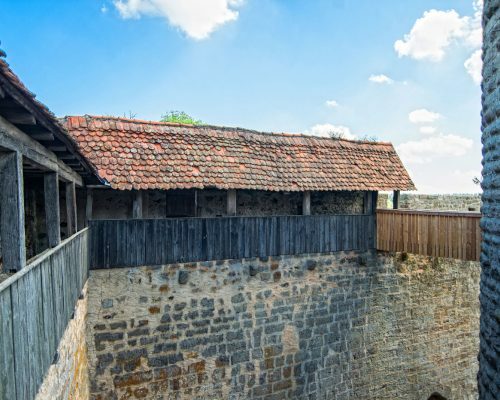 However you decide – the view from your window, high above the village of Colmberg onto the gentle Franconian landscape or onto the idyllic castle courtyard is unparalleled. 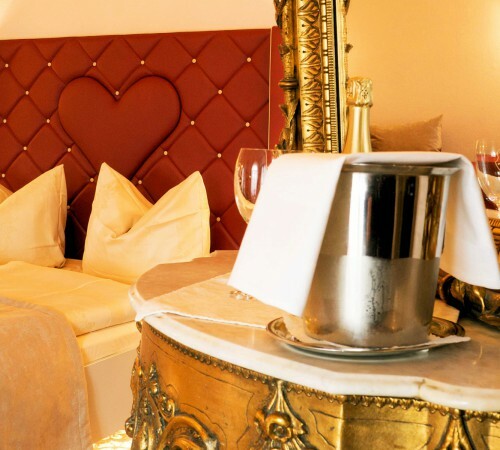 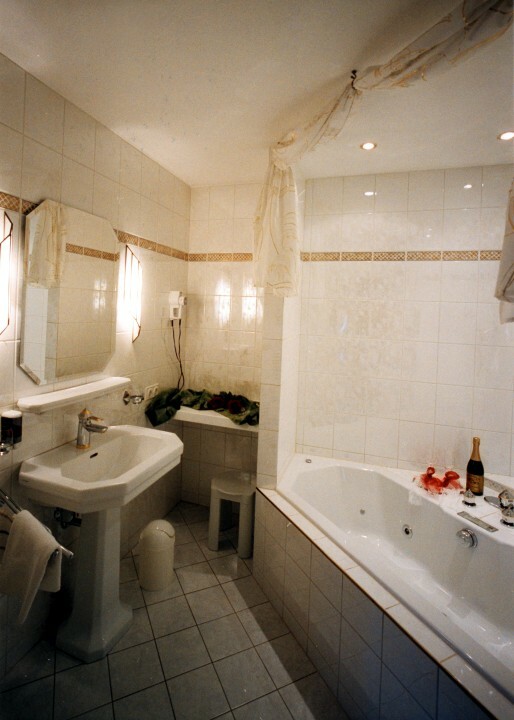 In order to make your special a very special night as well, we invite you to our bridal suite. 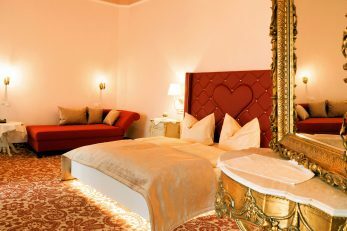 The bridal room is a romantic, classic suite with baroque elements and soft, gentle colours. A hearty breakfast buffet is included in all room prices. 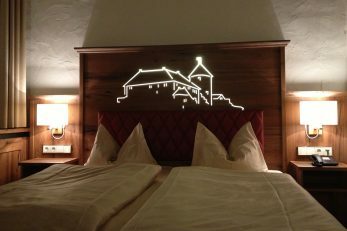 you will sleep (and dream) so well with us.